Yes, Southwestern College is accredited by the Higher Learning Commission of the North Central Association of Colleges and Schools. The art therapy program is also approved by the American Art Therapy Association. Where is Southwestern College located? Southwestern College is located in beautiful Santa Fe, New Mexico. The artsy campus includes a library, classrooms, administrative offices, a student lounge, a spiritual practice room, an art studio and an art therapy complex. To get to Santa Fe you can fly into the Albuquerque airport and drive one hour north on I-25. Exit at 599 North. Stay on 599 and go to the second light, Airport Rd., and turn right (heading east). Go to the third light, San Felipe Rd. and turn left. You will see our school immediately on the left side, behind an adobe wall. The main lobby is located through the turquoise doors. Can I get licensed as a Counselor with a M.A. degree? Yes! Graduates of Southwestern College may practice under appropriate supervision as a Provisional Licensed Mental Health Counselor (LMHC) in New Mexico. After 3,000 hours of client contact (this includes pre-graduation practicum and internship hours) and successful completion of the National Clinical Mental Health Counselors Examination, graduates are eligible for the Licensed Professional Clinical Counselor (LPCC) designation in New Mexico. Art Therapy/Counseling graduates are eligible to pursue national certification as an art therapist and the Licensed Professsional Art Therapist (LPAT) designation in New Mexico. They are also eligible for the LPCC designation in New Mexico. All courses required in the core curriculum for all levels of licensure in New Mexico are offered in both the Counseling and Art Therapy/Counseling Programs. Requirements for licensure in New Mexico are subject to change and the College administration maintains a close relationship with the Counseling and Therapy Practice Board in order to remain current. For further information contact the New Mexico Counseling and Therapy Practice Board at 505-476-7100 or www.rld.state.nm.us. The majority of our students come from out-of-state and many leave New Mexico to practice in other states. Mental health licensure designations and procedures vary from state to state. If you plan to practice outside of New Mexico, you should contact the appropriate state board for their requirements. For a directory, consult the National Board of Certified Counselors, click here. We also have state licensing information on our website, in our offices and in our library. Do you require the GRE or other tests for admission into Southwestern College? No. Southwestern College doesn’t require any entrance exams. Instead, the admissions process emphasizes the personal statement, admissions interview and professional and academic letters of reference. My undergraduate degree is unrelated to psychology or counseling. Will my application be considered? Yes. We will accept your Bachelor’s degree (B.A., B.S., B.F.A., etc.) in any field from an accredited institution. May I speak with Southwestern College students, faculty or alumni? Yes, if you are interested in talking with current students, alumni or faculty, contact the Director of Enrollment Services for a recommendation and you may contact them directly. How many students are enrolled at Southwestern College? We are a small school by design with a current enrollment of approximately 200 students. Classes range in size from 8-21 students. The average class size is about 14. What is your student – faculty ratio? We have an excellent student – faculty ratio of one faculty member for every four students. There is an average of 36 part-time and full-time faculty members serving the students. Over 90% of our faculty are current clinical practitioners. May I visit the college to meet with the Director of Enrollment Services and receive a tour? Yes, absolutely! Please call toll-free 1-877-471-5756, ext. 6815, or e-mail us to schedule a thirty-minute informational visit. What are the prerequisite courses required for enrollment? All of our M.A. programs require Abnormal Psychology, Developmental Psychology, and one psychology elective of the applicant’s choice. The Art Therapy/Counseling Program also requires at least 18 credit hours of undergraduate studio coursework including painting, 3-dimensional art (i.e. ceramics, jewelry making, sculpture, etc.) and four studio electives of the applicant’s choice. If I haven’t completed all the prerequisites, may I still apply and be accepted? Absolutely. As part of the application process, the Director of Enrollment Services will review your transcripts and advise you on how and when to complete prerequisite courses. Prior to full-time enrollment you will need to complete all of your prerequisites. Southwestern College does rolling admissions on a space-available basis. Applications are reviewed at any time; However, to allow enough time for processing financial aid we recommend applying early. Feel free to contact Admissions at 505-467-6815 with questions about the timing of your application. What is a quarter? What is a quarter unit? A quarter is ten weeks in length. We have four quarters: fall, winter, spring and summer. A quarter unit represents 10 hours of classroom time. A typical 3-quarter unit class meets for 30 hours during a 10-week quarter. Our counseling degree program is 97 quarter units, the art therapy / counseling degree program is 98 quarter units and the M.A. in Art Therapy for Clinical Professionals is 53 quarter units. The M.A. programs can be completed in as little as 2.5 years of full-time coursework. Other options, including part-time, are available and extend beyond 2.5 years. Most students choose a plan that takes approximately 3 years. Explore Counseling Program Plan options and Art Therapy/Counseling Program Plan options. How can I finance my education at Southwestern College? Financial aid is available to full- and part-time degree program students. Scholarships and graduate assistantships are also available. Download the SWC 2017-18 Guide to Financial Aid for more information. Please contact the financial aid office if you have further questions. 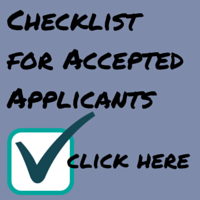 Here is a checklist for accepted applicants seeking financial aid opportunities. What is the cost of attending Southwestern College? There are tuition increases annually and they tend to be relatively small. Student tuition for the 2017-2018 academic year is $570 per quarter unit. There is a $165 general fee per student per quarter of attendance. The general fee covers, but is not limited to, such College expenses as classroom supplies, IT needs, library costs and examination and administrative fees. Tuition is subject to change. Full tuition must be paid before the first day of each quarter unless the student has set up a payment schedule with the business office. Who comprises your student body? Our students come from all walks of life, and many are pursuing second and third careers. About 75% of our student body come from states other than New Mexico. There is a great variance of age within our student body. Does Southwestern College offer Ph.D. or undergraduate studies? No, Southwestern College offers Masters’ Degrees in Counseling and Art Therapy/Counseling, seven different specialty certificate programs and continuing education courses. In addition, we offer a M.A. in Art Therapy for Clinical Professionals (those who already have an M.A. in Social Work, Counseling or Psychology who want credentials in the Art Therapy field). May I sit in on classes to get a feel for what happens? Due to the experiential nature of our classes and in order to preserve the confidentiality of student participation, we do not allow visitors to sit in on classes. We can put you in touch with current students and faculty who can describe, in greater detail, the learning experience. Where do SWC students do their clinical training? Students begin seeing individual clients during their first quarter of Practicum at the Tierra Nueva Counseling Center. During the second quarter of Practicum, students work with couples and groups, either at Tierra Nueva Counseling Center or in the community with a local agency. Internship spans two quarters, and, again, may be done in part at Tierra Nueva Counseling Center, but most do all or part in the community, or even out of state. Where do SWC graduates work? Click here to find out. What is the Student Right to Know Act?